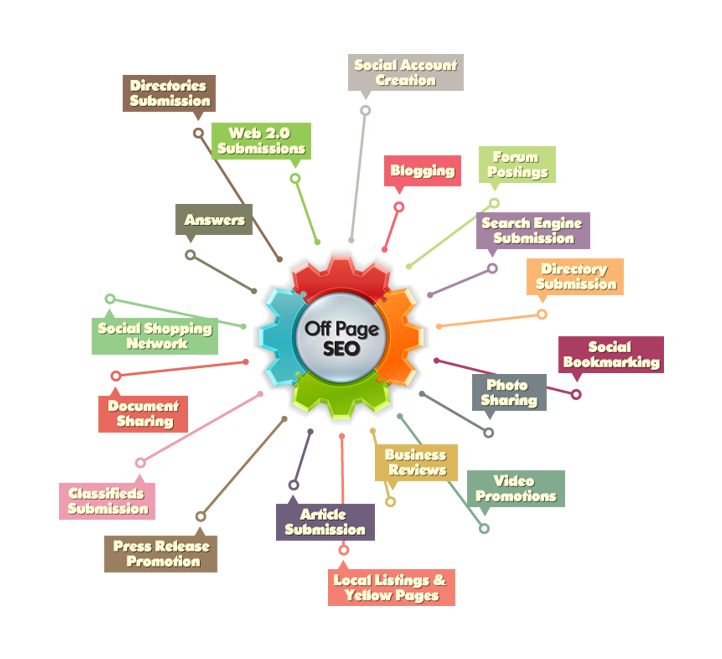 Off page SEO refers to techniques that are being used in order to improve the ranking of a web page in a certain search engine result page (SERP). A lot of people think that off page SEO is all about link building, which is one of its focal points, but it doesn’t stop there, it is so much more than that. In general, off page SEO has to do with promotion methods that go well beyond website design, for the sole purpose of popping up much more frequently in search results, thus creating relevant and desired traffic. Off page SEO or Off site SEO refers to actions that are taken outside of your website’s boundaries. Optimizing for off page ranking factors involves an improvement in the search engine and user perception, simultaneously - of the given website’s popularity, credibility, authority, relevance. This effect is accomplished by other credible sources on the internet (websites, organizations, people, etc.) linking with your website and in effect vouching for the quality of the service/product you are offering on that site. out of the 250 factors that is being used by Google to rank websites. •Only 20% of the people are still reading traditional newspapers, everyone else is on the internet. Mozora Info Solutions is India based IT Company founded with a mission to give services to its customers at one stop shop. We build an unspoken link with you that will give you immense pleasure to work with us again & again. Here we create relations for long term business approach, your satisfaction is our duty in order to give results that will make you to come again for any work of web designing, website development, Website Promotion – Organic & Inorganic SEO through Search Engine Optimization, Social Media Optimization, PPC(Google AdWords), Email marketing, SEO friendly Content Writing services and many more.